Jalaja Bonheim is an acquaintance of mine. She is a healer, a holy-woman. 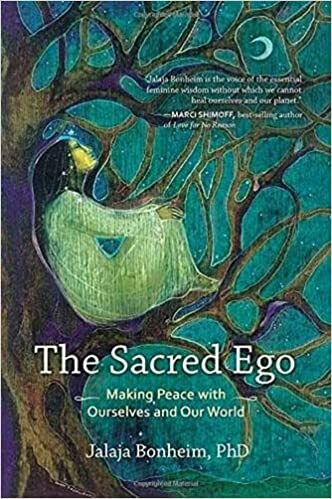 I was honored to get an advance copy of her latest book, The Sacred Ego: Making Peace with Ourselves and Our World. The book was released to the public on August 11. It is fabulous. In the opening chapters alone, she introduced an idea that has changed my thinking – she talks about how we ought to be living from the heart as opposed to just from the mind. She and I are trying to figure out a way for her to be able to join me for a ROTB web-lecture about her notion that our egos are not a detriment to the holy, but a path!